Vinehealth Australia was the lead agency in a collaborative phylloxera research project to develop an advanced early detection and surveillance system using DNA extracted from soil samples. Once endorsed, the DNA method will form part of an integrated approach for the detection and surveillance of phylloxera. “Growers will be able to use this new cost-effective DNA method to collect soil samples in the field according to a simple protocol, and then send these samples to an approved laboratory which will detect phylloxera DNA accurately and sensitively using a quantitative polymerase chain reaction (qPCR) assay which is specific to phylloxera, to determine the amount of any phylloxera present,” says Inca Pearce, CEO of Vinehealth Australia. Outcomes of this project will support identification and verification of area freedom status to facilitate market access for growers, as well as improving proactive management strategies for phylloxera. The project commenced in 2013 and concluded in mid-2018. Project funding has been provided by the Plant Biosecurity Cooperative Research Centre (PBCRC), Wine Australia and Vinehealth Australia. 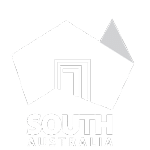 Other partners include the University of Adelaide, South Australian Research and Development Institute, Victorian Department of Economic Development, Jobs, Transport and Resources, NSW Department of Primary Industries and Rho Environmetrics. Of the pests and diseases already in Australia, our greatest biosecurity threat to grapevines is grape phylloxera. This tiny insect destroys vines by feeding on their roots and once infested vines will die within 5-6 years and must be replanted with vines on resistant or tolerant rootstock. There is no treatment for phylloxera. Currently, phylloxera is confined to regions in Victoria and New South Wales, while South Australia, Western Australia, Northern Territory and Tasmania are recognised to be free of phylloxera. The Australian wine industry contributes $40.2 billion in gross output to the Australian economy each year, and we have some of the oldest vines in the world at 175 years old. With estimates that at least 70% of Australia’s winegrape vineyards are planted on own roots, and thus susceptible to phylloxera attack, continued work on improving phylloxera detection methods is vital. Growers are going through vineyards every week. They are our eyes and ears. Active surveillance for grape phylloxera is what we must prioritise, and that requires practical and effective tools for growers and regulators alike. Traditionally, surveillance for phylloxera is undertaken by a third party, often regulators and not the growers themselves. 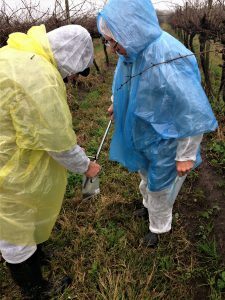 The current endorsed phylloxera detection method, requires a small portion of roots to be dug up and inspected by trained personnel. This method is time consuming, expensive, and heavily relies on the capabilities of the inspector. Therefore, a simple, rapid, sensitive and accurate method for the detection of phylloxera is needed to enhance grower uptake and to simplify surveillance activities for regulators. This will improve the chance of detecting where phylloxera is and is not, and thus enable protection of vineyards from phylloxera. Additionally, the development of a test that enables rapid collection and analysis of samples will greatly assist not only general surveillance activities, but also management in the event of an incursion. This project has successfully developed a field sampling protocol for collecting soil cores and validated a diagnostic protocol using qPCR for the detection and quantification of phylloxera (‘DNA method’). The estimated detection limit was determined to be 2 phylloxera per 200g dry soil composite sample. The field sampling protocol developed in this project utilises an inexpensive soil corer to collect soil samples within 10cm of the vine trunk and to a depth of 10cm. Compositing of soil cores was shown as an option to reduce laboratory analysis costs for the DNA method, however, the level of compositing needs to be balanced against potential diminished phylloxera detection capability. This is particularly important in blocks with isolated infestations or low infestation levels. The way in which soil samples collected in the field must be packaged and transported to SARDI MDC and importantly, timings to ensure minimal DNA degradation during both transport and processing at the laboratory, were confirmed. Specifically, samples must be stored at no more than 20°C during transport and reach the laboratory within 48 hours of collection. On receival at the laboratory, samples must be stored unfrozen at approximately 10-20°C pre-drying and dried within approximately 24-48 hours of receival. Detection rate of phylloxera was evaluated over seasons. For the three vineyards sampled over three consecutive years, there were no significant difference in the frequency of phylloxera detection based on time of year sampled. However, higher amounts of phylloxera DNA were found from late summer to early winter, peaking in autumn. As a result, the DNA method can be successfully undertaken all year, but preferentially in autumn. Preliminary investigations demonstrated the potential for the existing SARDI MDC Vitis qPCR assay, which provides an estimation of the amount of vine root in a soil sample, to be used as an internal quality control for samples analysed for phylloxera DNA. The current field sampling density outlined in the NPMP of sampling one vine in every 3rd row in every 5th panel has been shown to be suitable for the DNA method. However, higher sampling density above the standard recommendation may be warranted for any blocks suspected to have a low or isolated phylloxera infestation. In addition, continued evaluation of weak vines as part of any phylloxera surveillance strategy is recommended. A comparison of the newly developed DNA method to the other primary phylloxera detection methods, emergence traps and visual root inspection, showed differences in detection rates at landscape, block, composite and vine level. Reasons for these differences and the relative strengths and weaknesses of each mehod are discussed. Endorsement of the DNA method alongside the emergence trap and visual root inspection phylloxera detection methods, will provide growers and regulators with an integrated toolkit of field sampling and detection options to utilise as part of national surveillance plans. This will enable greater confidence in area freedom status, delimiting of incursions and upgrading phylloxera management zone status from a PIZ or PRZ to a PEZ. It is therefore recommended that the DNA method be endorsed by the Plant Health Committee for inclusion in the NPMP as a primary phylloxera detection method. This project has delivered a significant advancement in the ability of industry and regulators to detect phylloxera, and therefore manage the impact of this devastating insect on vines. Full deployment of the DNA method will be achieved following endorsement by the national Plant Health Committee. A final report to Wine Australia on this project, titled ‘Sampling strategies for sensitive, accurate and cost effective detections for quantifying area freedom status’ was completed mid 2017 and can be accessed here. Results from the first three years of the project were published in late 2016 in the Australian Journal of Grape and Wine Research in a paper called ‘Detection of grape phylloxera (Daktulosphaira vitifoliae Fitch) by real-time quantitative PCR: development of a soil sampling protocol’. A number of items below are being undertaken to ensure the DNA method becomes a commercial option for growers and regulators in phylloxera detection. Embedding the DNA method into the National Diagnostic Protocol for phylloxera. Gaining national endorsement of the DNA method through the above via Plant Health Committees. Integrate the DNA method into national and state phylloxera protocols/regulations.